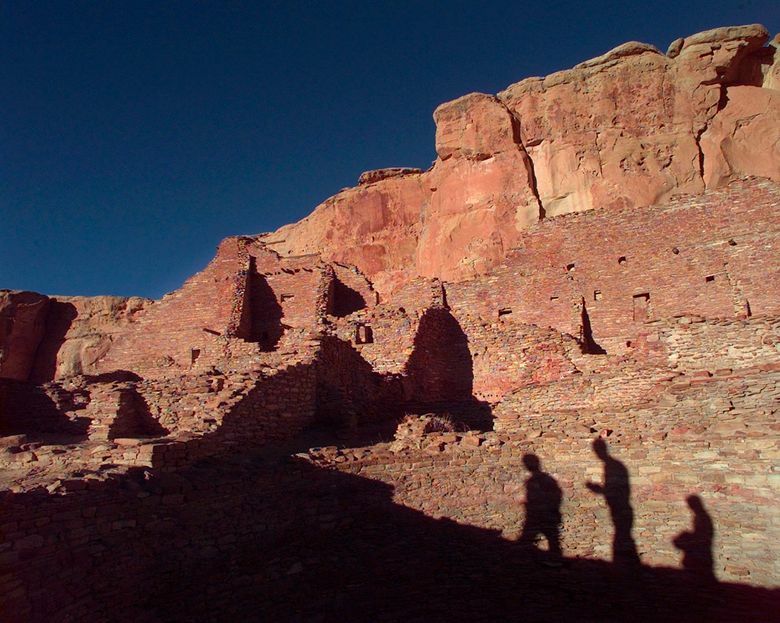 ALBUQUERQUE, N.M. (AP) — A swath of northwestern New Mexico’s oil and gas country would be off limits to drilling under proposed federal legislation that seeks to make permanent a buffer zone that has kept development away from Chaco Culture National Historical Park and other sites held sacred by Native American tribes. The measure introduced Tuesday by U.S. Sens. Tom Udall and Martin Heinrich would prevent future leasing or development of minerals owned by the federal government within a 10-mile radius around the park. The two New Mexico Democrats and tribal officials voiced their concerns about the potential of expanded drilling despite decisions over the years by federal land managers to defer any interest by the oil and gas industry in parcels that fall within the buffer. Most recently, U.S. Interior Secretary Ryan Zinke in March halted a lease sale over concerns about cultural impacts after hundreds of people protested. Heinrich acknowledged that the San Juan Basin has a drilling history that dates back decades. As one of the oldest natural gas production areas in the U.S., the basin already contains thousands of wells, compressor stations and other infrastructure and many leases have yet to be developed. “I think we owe it to the greater public and certainly the tribal governments to engage to figure out how we can be more thoughtful in what energy development looks like,” he said. 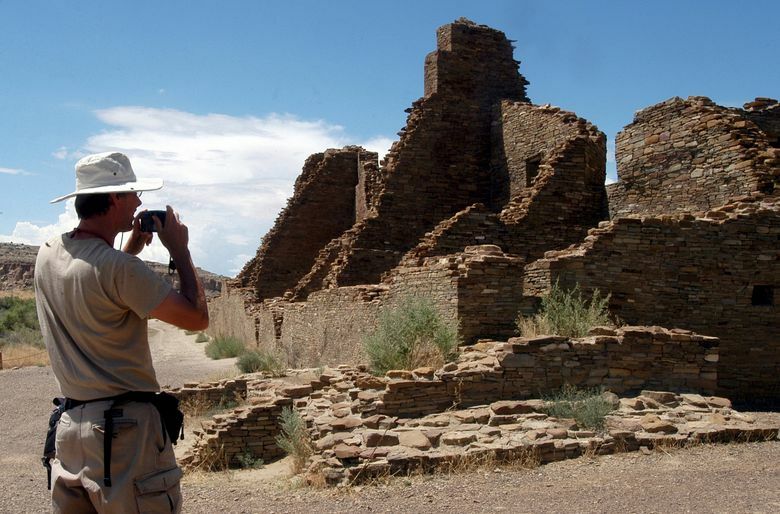 A world heritage site, Chaco and other archaeological remnants outside park boundaries have become the focus of the fight over expanded drilling. Environmentalists have long complained about pollution from fossil fuel extraction and coal-fired power plants in the region. Their campaign gained steam when tribal leaders joined in with concerns about the effects on cultural resources. Zuni Pueblo Gov. Val Panteah said the area represents an essential connection to the past for his people and other tribes in the Southwest. The Navajo Nation and other tribes have sought a drilling moratorium while other groups have sued over the approval of drilling permits in the basin. Federal agencies are working to overhaul the resource management plan that guides development decisions in the region. That plan is expected later this year. The oil and gas industry says it’s possible to drill and protect historical resources at the same time, pointing to existing federal laws that require extensive environmental and cultural reviews. “Rather than propose duplicative and unnecessary legislation, we should continue to have a dialogue with pueblos, tribes and local communities to address their concerns,” said Robert McEntyre, a spokesman for the New Mexico Oil and Gas Association. Some environmentalists said Tuesday the legislation doesn’t go far enough, saying the sites associated with Chaco stretch far beyond the buffer. The critics have argued that increased development has the potential to destroy parts of the landscape that could provide a better understanding of the civilization that once inhabited the area. In a report last fall, archaeologists and professors pointed to new technology that has uncovered previously indiscernible sections of roads that connect sites throughout the region to the heart of Chaco park. They said more discoveries were possible with new satellite and laser-imaging tools.